This book investigates sand production problems in the development of unconsolidated sand reservoirs and suggests novel technical solutions and improvements to sand management issues. 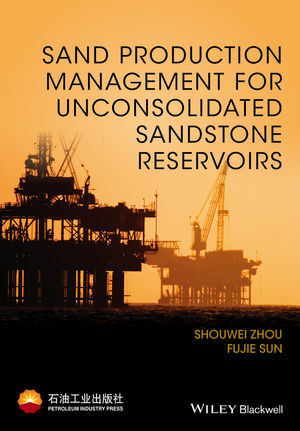 This book is divided into six chapters: (1) geologic characteristics of unconsolidated sand heavy oil reservoirs and concept of sand management technology; (2) sand production mechanisms and its effect on reservoir petrophysical quality; (3) sand production quantity prediction and well productivity evaluation methods, especially for fluid-solid coupling prediction model; (4) completion technology for sand management; (5) sand flow in well bore and surface processing; (6) the application of sand management technology in China’s Bohai heavy oil field. Readership: Petroleum reservoir engineers and production managers worldwide. Zhou Shouwei, former Vice-President of CNOOC and Director of CNOOC’s EOR key lab, is an academician of the Chinese Academy of Engineering, specialising in offshore oil development engineering. Sun Fujie, General Manager of Technology Development, Department of CNOOC, is a senior engineer with expertise in oil and gas field development engineering. He joined CNOOC in 1988, working on production of offshore oil and gas field development.